Imagine your favorite peanut butter cups only bigger and better. This sensational cookie pie combines peanut butter filling with dark chocolate drizzle on top of a rich butter cookie crust for an off-the-charts taste experience. Each cookie pie is lovingly hand-crafted in small batches. 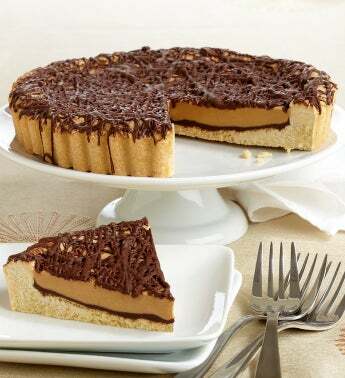 This decadent creation is a dream come true for a peanut butter & chocolate lover! This unique dessert looks like a pie & eats like a cookie!